We returned from our new home in Delaware today expecting to sign a contract for the sale of our Pennsylvania home. Not quite yet. Another snag has been encountered. So many false starts since we put our home in Pennsylvania up for sale January 9th of this year. The latest snag is that the potential buyer wants a guarantee that his daughter will be about to attend her elementary school after she moves into her new home. My house is right on the border (the wrong side of the road of course). My realtor is contacting the school board to see if they will make an exception in this case since it is so close. So, here we are in limbo again. Can't do anything at the new house nor at the old house. Can't do anything until we have a signed agreement of sale. At this time it seems like it's never going to happen. But it will, it will. 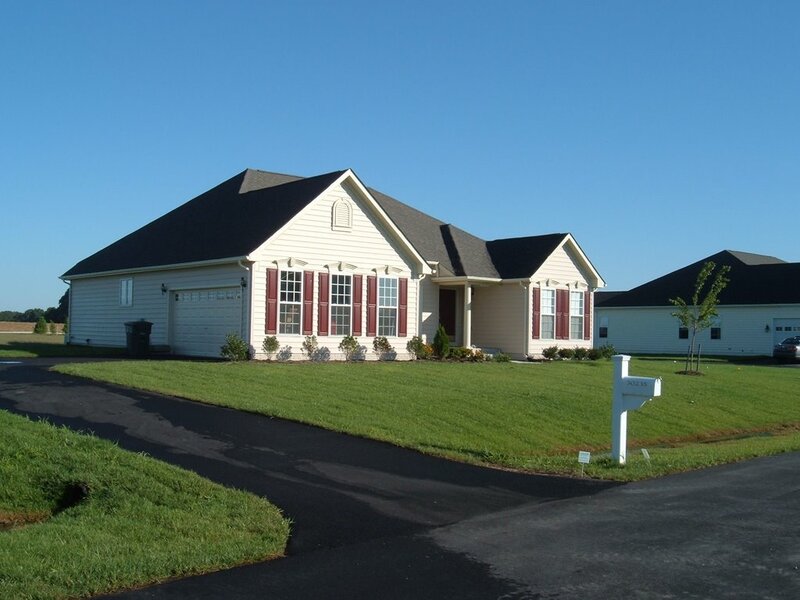 Pictured is our beautiful new Delaware home. We love it. It is perfect for us. The neighbors are wonderful, the air is breathable and the maintenance is low. Perfect for this downsizing couple. What we need now are prayers. Prayers that we sell our PA house soon. Then we can take care of that lawn problem in Delaware!